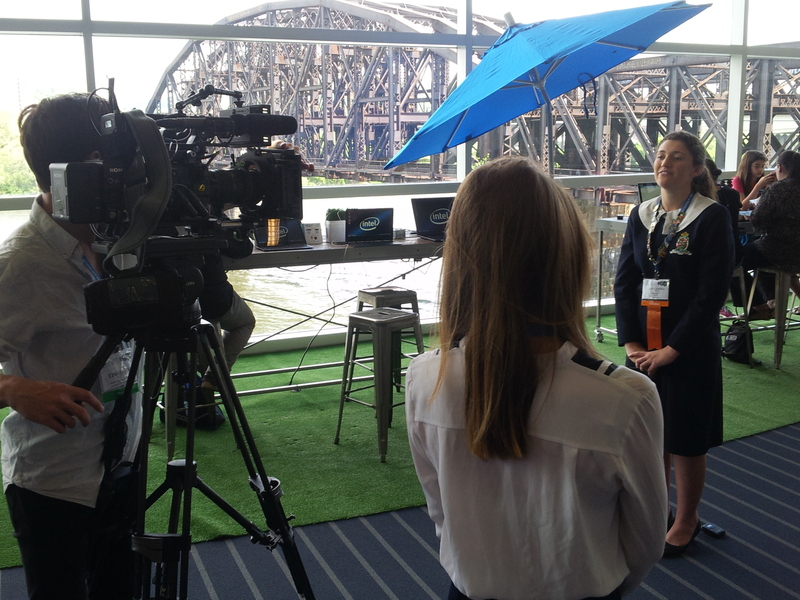 All of the Young Scientist and BHPBSEA finalists and their fair directors were interviewed by a Channel 9 film crew that will go to air on the Weekend Today program, sometime after ISEF. This Tuesday afternoon the finalists and other members of the Australian party attended the Excellence in Science and Technology Panel with 4 Nobel Prize Laureates. 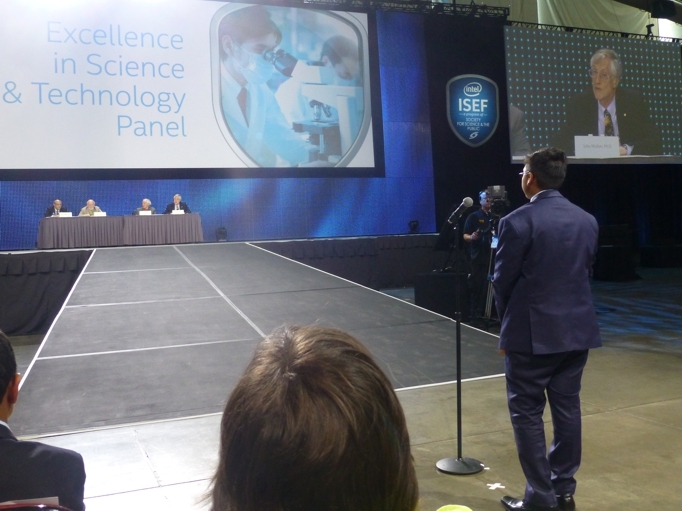 BHPBSEA finalist, Dhruv Verma was selected to ask one of the questions and he also attended a special lunch with the Nobel Prize Laureates. Our last event before Wednesday’s judging was our student and adult mixers. 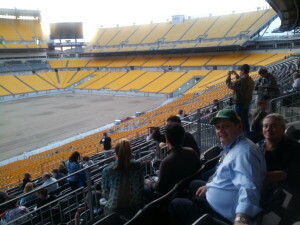 The adults met for dinner and activities in the Heinz Field, the home of the Pittsburgh Steelers. The students met next door at the AE Stage where the atmosphere was definitely louder.